Our expertise lies in providing a complete project management and build service. We believe that open, honest communication is key to a successful building project. We spend time with our clients at the earliest possible stage of a project, offering practical, sound advice based on over 70 years of building work in the local area. We liaise with homeowners, architects and structural engineers to ensure that a project runs smoothly and lines of communication flow freely. We'll keep you updated regularly as your project progresses - especially useful if you are not able to be on site. 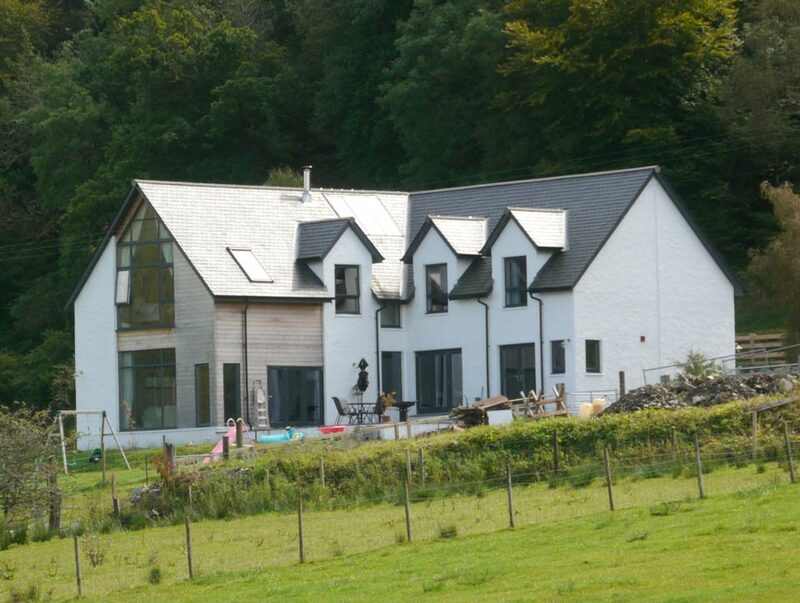 Managing the project means that we co-ordinate and manage all the trades that are involved in your build. We work with joiners, electricians, plumbers, tilers, slaters, decorators - all chosen for their reliability and quality workmanship. The result is a high quality finish. "Our experience of working with Keith, Donald and their team was positive from start to finish. They demonstrated their enormous experience early on, taking a reassuringly calm, thoughtful approach to a job which was not straightforward, combining structural changes to an old stone building, with modern additions that had to be tied in to the old stonework and original slate roof. Our goal was to make the most of the stunning setting, whilst remaining true to the original building, and creating a home that was comfortable and worked as a living space. The end result is fantastic, and totally exceeded our expectations." Established in 1935, D Carmichael & Sons is a family run business based in Appin, 19 miles north of Oban in North Argyll. Although there have been many developments in the building trade since the 30's, the company's high quality workmanship, integrity and commitment to delivering high levels of customer service remain unchanged. Keith Carmichael explains "The firm was started by my grandfather in 1930's, then my father and uncle - Donald and Sandy - took up the reins in the 1960's before me. I believe our company's longevity, our depth of experience and our positive approach to working with clients underpin our strong track record of satisfied clients and high quality builds." We are a registered house builder with NHBC (The National House Builders Council) - a name known and trusted by the public for raising the building standards of new homes. We are also members of the Scottish Building Federation - both of which are part of our commitment to delivering the highest standards of performance, professionalism and quality within the industry. You can also be confident that we are up-to-date with the latest legislation and regulations relating to the building industry.